The following post contains speculation and opinions about the future. But since I don’t have a time machine, and Apple’s Time Machine only travels into the past for some reason, I make no warranties on the content. CRN writes that “Partners say Vista RC1 Close But Not Quite Ready” but I think it might be worse than that. Windows Vista is definitely on schedule to meet the launch dates of November 2006 for business and enterprise and January 2007 for consumers, but the quality of the software will not meet my high expectations. The good news is, Microsoft recently released Release Candidate 1 to testers and enthusiasts around the world and most of the feedback has been positive. My own experiences too reflect this. The installation performance is often overrated, I mean who installs Windows more than once on a daily/weekly/monthly basis? But nevertheless, Vista can install in less than 30 minutes. General performance is vastly improved over previous betas, and is now comparable to Windows XP. With still a lot of tweaking to go before RTM, I have no doubt the performance will be even better when it ships. Features work as well as they intended to. Search is amazingly fast and accurate. Sidebar will become handy as more gadgets are developed. Internet Explorer 7 is a much needed rejuvenation. You get my point. RC1 is a good sign of progress. But here’s the bad news. Lots of little things will miss out, and remember it’s the little things that add up to the whole experience. I’m not talking about Aero Glass (or Diamond if it exists). 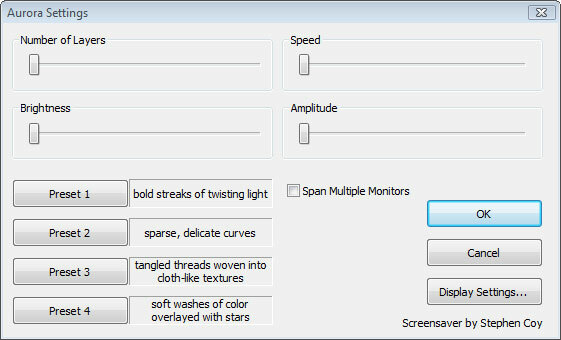 I’m talking about things like the options dialog to the new screensavers. I know they exist, but I also know they won’t be shipping with Vista. Why? Because there’s no time. There is just too little time between now and RTM, that any change could have an adverse effect on the schedules, and you know how the directors at Microsoft must be feeling about schedules. Everything is pushed to either Vista SP1 or even the next version of Windows. The Vista screensavers are good enough, but with those options to customize it to your likings, they could have been amazing. Good enough is where it will be at, not amazing. And that’s depressing. Having said all that, without a doubt, Windows Vista won’t be a flop like Windows ME, but also won’t be as polished as Mac OS X, where almost every user experience is crafted to pixel perfection. It took more than 5 years for Longhorn to get to the point where it is today, it saddens me to see it be forced out of production unpolished due to schedules and customer demand. I just hope now Vista SP1 or the next version of Windows isn’t too far off. I remember hearing ‘Blackcomb’, but never heard about the rename to ‘Vienna’. If memory serves me right, Blackcomb is a mountain, as was Whistler. I believe I was once told that the name Vienna was from an establishment near those mountains, but I can’t clarifiy the validity of that statement. Originally, internal sources pitched Blackcomb as being not just a major revision of Windows, but a complete departure from the way we have typically thought about interacting with a computer. While Windows Vista is intended to be a technologies-based release, with some added UI sparkle (in the form of the Windows Aero set of technologies and guidelines), Vienna is targeted directly at revolutionizing the way we interact with our home and office PCs. For instance, the “Start” philosophy, introduced in Windows 95, may be completely replaced by the “new interface” which was said in 1999 to be scheduled for “Vienna” (before being moved to Vista (“Longhorn”) and then back again to “Vienna”). The Explorer shell will be replaced in its entirety, with features such as the taskbar being replaced by a new concept based on the last 10 years of R&D at the Microsoft “VIBE” research lab. Projects such as GroupBar and LayoutBar are expected to make an appearance, allowing users to more effectively manage and keep track of their applications and documents while in use, and a new way of launching applications is expected—among other ideas, Microsoft is investigating a pie menu-type circular interface, similar in function to the dock in Mac OS X. As of 2006, it is still planned as both a client and server release with a current release estimate of anytime between 2009-2012, although no firm release date or target has yet been publicized. In January 2006, Blackcomb was renamed to “Vienna”. No idea how valid any of this is, as none of the information is cited, but it has definantly caught my attention. Quick question however: Where did you get the screenshot of those properties? That a valid source or a good photoshop? @Nitz: The screenshot of the properties is real. Let’s just say when you hack through the resources of EVERY SINGLE system32 file in Vista, you will eventually find stuff. People say I have a lot of spare time. Hi Long Zheng. Your blogs are really interesting and screencasts. Having just read the Windows Vista ready to launch, but not quite polished article. It made me wonder if it is worth me buying vista in january. Im not too bothered about the screensaver part but is there anything else i should consider! @Chris: I don’t doubt Vista is worth buying, I would persuade everyone to upgrade as soon as possible. Sure it won’t be as polished as I would have hoped it would be, but that’s just a layer of interface over a lot of code. And the code is great. It’s going to be fast and secure.